"Take me down to the paradise city where the food is good and it ain't just pricey, take me now..."
This is a post entry for me to grab a chance in being a member to the brand new Nuffnang Facebook interest group called Tastebuddies where crazy foodies who snap photos before eating and go all over just for a bite...unite! Totally sounds like a group for a fatty like me! It's no kidding whenever someone tells me to get out there and eat because I would always be ready no matter what especially if the food is cheap and bloody delicious. That's the kind of foodie I am! I am always on the prowl for munches that goes easy on the wallet and satisfactory in the tummy so what could ever be better than...Penang chomps like these? Who would have ever believed that a plate full of mee, tofu, squid and an abundance of vegetables and meat would only cost RM 4.50?! I suppose there really is no kidding to the moment when I say I look out for only cheap food. 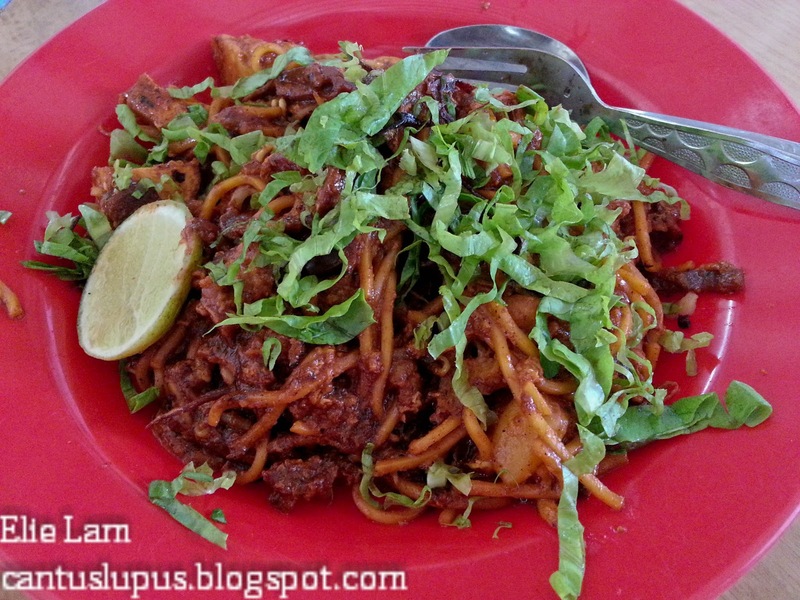 Best of all, the vendor to this renowned mee goreng speaks Hokkien and tells you which angle is the best in photographing or even taking videos of his cooking methods! 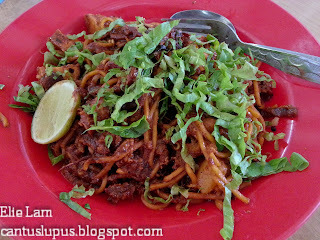 The taste to this plate of sinful mee goreng? Simply heavenly. The squeeze of lime mixes well with the quickly fried yet sufficiently cooked ingredients and the sauce made of their own recipe gives a blend in tangy sweetness yet a subtle spiciness just enough to make you die for more even when you've already told yourself to give up. The result is the craving to visit their stall over and over again regardless the day and time! Absolute yummers! So, do I live to eat or eat to live? I would now proudly tell you...I do both.